Be amazed as our incredible contortionists create impossible shapes before your eyes! 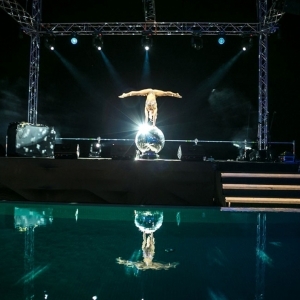 The fantastic physical display will wow your guests as the contortionists bend and flex their bodies in unusual and unimaginable ways. We offer fully choreographed contortion routines which are set to music, or the performers can display a more free-styled atmospheric set either positioned on a podium or even moving around the crowd and mingling in between your guests. Duo-Contortion acts are also available where the twisting and merging of two sets of limbs is even more mind boggling and impressive!